I specialize in Electronic Data Interchange (EDI) system, Enterprise Application Integration (EAI) and Electronic Business Flow Management (EBFM) systems that involve many different aspects of computer technology, including Project Management, Change Management, Conversion/Migration, ERP implementation and Strategic Planning. Our specialization over the past several years has been in the areas of information and data architecture, working with EDI (and other forms of electronic business-to-business communication) to integrate these transaction based systems into the business process. I focus on ERP/CRM systems with an emphasis on JD Edwards (Oracle Enterprise One) Order to Cash, Procure to Pay, Shipping & Distribution and financial institution (Banks, Credit Card, Payroll) transactions and the related deployment of the EDI interface transactions and third party systems interfaces. Conversion, migration and integration to third party systems (shipping, transportation, etc.) are functional areas where we excel. Professional Services: I provide Professional Consultants for all areas and phases of the project lifecycle: project management and consultation; systems analysis & assessment; infrastructure design & integration; application development & implementation; systems support & documentation. HealthCare systems with HIPAA transaction compliance considerations. Based in Winter Haven Florida USA , I am proud to be a leader in both national and international markets. What Makes HJS EDI Services Different? 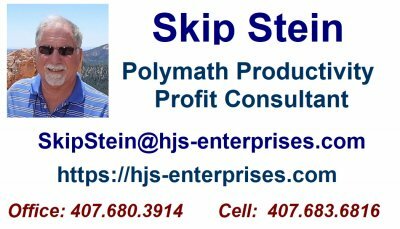 I offer unique blend of Professional Consultants and Information Technology veterans who have successfully combined their professional backgrounds and IT expertise to create a dynamic team that truly understands your core needs at the business and technology level. We have a proven methodology and provide the right talent to make your projects and your company successful and profitable. I have a 35-year track record of providing successful business solutions to enterprises around the world.